Cloudinary is a cloud-based service that streamlines websites and mobile applications' entire image and video management needs - uploads, storage, administration, manipulations, and delivery. OpenCV was designed for computational efficiency and with a strong focus on real-time applications. Written in optimized C/C++, the library can take advantage of multi-core processing. Enabled with OpenCL, it can take advantage of the hardware acceleration of the underlying heterogeneous compute platform. Speed up your website by reducing the size of your images without losing quality. Why do developers choose Cloudinary? Why do you like Cloudinary? Why do developers choose OpenCV? Why do you like OpenCV? Why do developers choose Imagify? Why do you like Imagify? What are the cons of using Cloudinary? What are the cons of using OpenCV? What are the cons of using Imagify? How much does Cloudinary cost? How much does OpenCV cost? 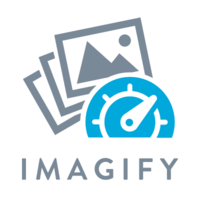 How much does Imagify cost? What tools integrate with Cloudinary? What tools integrate with OpenCV? What are some alternatives to Cloudinary, OpenCV, and Imagify? FFMPEG - The universal multimedia toolkit. The art of technologies and delivering power potential with a huge flexibility makes cloudinary stand out in the crowd. I used both scikit-image and OpenCV for image processing and cell identification on the backend. Trained to identify malaria cells based on image datasets online. When it comes to quick training for image processing, OpenCV and scikit-image are the two best choices in my opinion. The approach I took to cell detection was template-matching and edge detection based. Both are highly tested and very powerful features of the Scikit Image and OpenCV libraries, and also have great Python interfaces. I use openCV to serve as "motion capture" logic for my home security cameras. Which means that instead of capturing in a dumb way based on motion, it captures video when it recognizes human faces or bodies. This saves a lot of disk, but at the expense of CPU. we used this as our image hosting site at talenthouse. helped the cloundinary team with the video integration as we were one of the first users. also helped patch the cloudinary scala library. 4 years of experience with Cloudinary for cloud-based image processing and CDN. Used in Coolfront Mobile to store logos. We read people's CAPTCHA images.